Do you know what and when the first recognizable modern day personal computer with BASIC was? Based on a lively discussion over at AtariAge, I finally have what appears to be independent confirmation of what and when the first recognizable modern day personal computer with the BASIC programming language was. For purposes of definition, "first recognizable modern day personal computer" means a pre-assembled (non-kit) computer with a built-in display output (typically to a monitor early on and later to a TV) and full keyboard. The BASIC part means having some type of operating system with BASIC commands, preferably (though not required to be) in ROM. Now, we all know the holy trinity of 1977, the Apple II, Commodore PET and TRS-80, which were released (meaning not just announced, but actually available to buy and, more importantly, use) in that magical year, in that order, and each of which set the standard for all others to follow. Logic would dictate then that the first computer to fit our definition would be the Apple II. However, as the French would say au contraire mon frere. 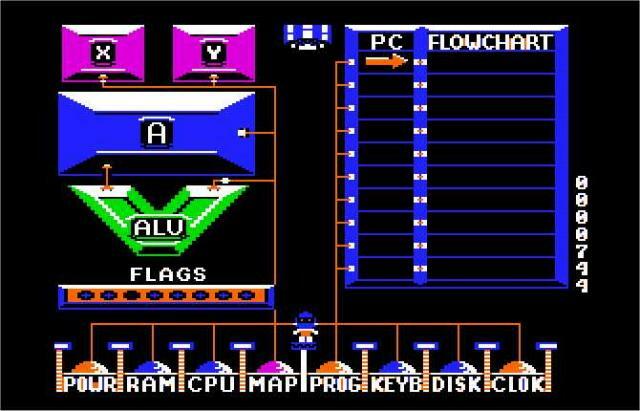 After some total misses were brought up, one computer in particular began to generate some legitimate consideration, the Processor Technology SOL-20 (SOL 20; NOTE: Though apparently far less popular, the reduced feature-set SOL 10 was also available). Unfortunately, there is a criminal lack of historical information related to both the company and the computer, so pinning down a release date for the pre-assembled version was difficult (as was customary for the time, kit versions were available--even the Apple II could be bought as a kit, though the Commodore PET and TRS-80 could not). While I've been able to briefly handle a fully operational SOL-20 in the past, due to its high cost on today's open market (easily north of $400 with often questionable functionality), I've been unable to acquire one, so my first-hand knowledge of the system is decidedly limited. AtariAge user "desiv", was the first to find this article, which is a report from a gentleman who had a computer store at the time and pretty much pegged a general availability of 1976 for the SOL-20. Not satisfied with this single account (for one thing, there were a few mis-remembrances in there, like saying the SOL-20 was never sold as a kit), I decided to end the debate (if only primarily with myself) once and for all by checking my personal library's materials for another contemporary perspective. Luckily, I found one. According to my copy of Owning Your Home Computer (The Complete Illustrated Guide) (1980) by Robert L. Perry, on page 49, "About the same time [mid-1975], Robert Marsh, a computer engineer, founded Processor Technology, which marketed the first computer complete with keyboard and video screen--SOL, the first personal computer deserving the name." and "Except for the first version of the Processor Technology personal computer, called SOL, there was no complete home computer at the beginning of 1977." Then he goes on to talk about the usual suspects, Commodore PET, Apple II, TRS-80, Exidy Sorcerer and Ohio Scientific Challenger, as being introduced that year (of course actual availability is a different issue). He mentions another challenger a bit later, the Polymorphic 8800, which was introduced in 1976, which contained connections for a video monitor and a cassette recorder (as well as BASIC in ROM). Unfortunately, you had to add your own keyboard, which disqualifies it. He then talks a bit more about the SOL 20, "The first computer a hobbyist could simply turn on and use was the Processor Technology SOL 20. It had its own keyboard, an audio cassette interface, a complete video processor that used numbers and letters (in upper and lower case...), both kinds of input/output ports (serial and parallel), and an internal power supply. It had neither switches nor blinking lights on a complicated-looking front panel. It did have an internal operating system fixed in its memory, which allowed a user to simply plug it to a video monitor and use it. [description of an operating system] Yet the SOL, too, was too complicated for the average user. A buyer still had to know computer programming to use it." So, while BASIC was not in ROM (just a "simple" operating system was), it was apparently readily available on paper tape and cassette (see more info, here, here, and here (the latter of which points to BASIC availability no later than circa January 1977, still well before the Apple II's actual release)). Perry then devotes some time to the second generation of kit computers, like the RCA Cosmac Elf II, and Heathkit H-8. Then, towards the end of page 54, he starts in with the TRS-80, leads into the PET, talks about the Apple I and II, the Ohio Scientific Challenger, the Compucolor 8001, and the Exidy Sorcerer (which he says, correctly, was introduced in the Spring of 1978). On another note, he devotes Chapter 5 to "The Newest Home Computers", which, given sufficient publishing lead time for this 1980 book, would have placed most of these releases between 1978 - 1979, which falls in line with what we already know well (of course, some, like the Mattel Keyboard Component, were only ANNOUNCED at this time and would still be some time away). These systems include: Sinclair ZX80, APF Imagination Machine, Interact Model One, Mattel Intellivision (with Keyboard Component), TI-99/4 (not the 4A), Bally Professional Arcade, and HP-85. 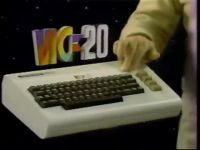 On a final note, in Chapter 6, "The Handiest Home Computers", he discusses the TRS-80, Commodore PET, Apple II/III, Ohio Scientific Challenger series, Compucolor II, Exidy Sorcerer, and the Atari 400/800. Definitely a good book, and definitely an end to the "mystery". Nevertheless, if you want all of the usual qualifiers above and BASIC to reside in ROM, you're still looking at the Apple II, which was released in June 1977. Any thoughts out there to the contrary? While I've done a few of these informally since the last one, the C-128DCR, which was number 6, I decided to continue the numbering from there since I wasn't going to do anything special at the moment with this other than take a series of photos. The Bally Home Library Computer or Bally Professional Arcade (and several other names over its lifetime), better known by its informal nickname, the Bally Astrocade, was a videogame console released in 1978 with the promise of future computer capabilities. While the full-blown add-ons never made it out from its two parent companies (Bally would give up on the system within a few years and a new company would form as Astrovision, but also never had much success with the technology), the first of two cassette interfaces was released in 1978, which ran at 300-baud. This 300-baud interface consisted of a beefy book, cartridge and interface cables that hooked into the accessory jack and the system's control port number 3 (it had four controller ports). You could then type in programs on the system's 24 calculator-style keys. Yes, people actually programmed on that! 1978 - Mmm. Coding basic text games on our Apple II+. Plus I could make a cool string of wine goblets run up the side of the screen.